Belarusians and Lithuanians have a long common history which started long before the Grand Duchy of Lithuania 500 years ago. Two nations followed clearly divergent paths only after the collapse of the Soviet Union. When Lukashenka came to power, he recognised the state border of Lithuania and thus prevented the main source of possible tension between two countries. Lithuania hosts many Belarusian exile organisations including the European Humanities University but remains cautious about economic sanctions. It supports the liberalisation of the visa regime for Belarusians but was guilty of leaking information to Belarusian authorities which led to the imprisonment of human rights activist Ales’ Bialiatski. Two countries cannot agree on several issues, including Belarusian nuclear power plants, but overall their relations remain remarkably pragmatic. For more than a half of millennium, Belarusian and Lithuanian people have peacefully lived together in the Grand Duchy of Lithuania and the Polish-Lithuanian Commonwealth. This experience of coexistence continued after the Russian Empire had annexed their lands, with many Belarusians studying at the Vilnius University. After the 1917 revolution the Bolsheviks united the Lithuanian SSR and Belarusian SSR into a short-lived single state called Litbel that collapsed due to the Polish-Soviet war. In 1940 Soviet troops occupied Lithuania in compliance with the Molotov-Ribbentrop pact and transferred Vilnius to a newly established Lithuanian SSR. Only at the end of the 20th century did these countries go their different ways. Lithuania decided to become a member of the European Union and NATO. At the same time Lukashenka as a leader of Belarus stated that he would not lead his country to a civilised world and built a Soviet-style authoritarian "market socialism". But it was probably a good choice for Lithuania, because Lukashenka agreed on the existing border between the two countries and did not make any claims to the disputed Vilnius region. In 2007 Belarus and Lithuania finished demarcation of the common border. This year they should allow people living in territories adjacent to the state border to travel without visas a distance of no farther than 50 km. In 2005 former Lithuanian president Valdas Adamkus made a controversial statement that Lukashenka “might attack Lithuania” whereas Belarusian state TV channels broadcasted anti-Lithuanian propaganda. Bilateral relations significantly improved when Dalia Grybauskaitė came to power in 2009. At that time the EU started an engagement policy towards Belarus and Grybauskaitė invited Lukashenka to visit Vilnius for the first time since 1997. Lithuania advocates for Belarus in the EU, because it has substantial economic interests in this country. The trade turnover between two nations increased by 162% and exceeded $1bn in 2011. Moreover, Belarusian companies, especially Belkali and GrodnoAzot, are responsible for more than 30% of the cargo at Lithuanian Klaipeda port on the Baltic sea that wants to be their main partner instead of the Latvian Ventspils port. Earlier Minsk stimulated their competition when it was choosing which port should become a dock for tankers carrying oil from Venezuela to Belarusian oil refineries. This was a part of the ambitious project on the creation of the Eurasian oil transport corridor between the Caspian Sea and the Baltic Sea. However, when Russia promised to Lukashenka extremely beneficial prices for oil and gas, he stopped his attempts to diversify hydrocarbon supplies. Lithuania’s need for economic cooperation with its bigger Eastern neighbour explains why it opposes comprehensive EU sanctions against Minsk. On 5 March Grybauskaitė said in an interview for Agence France-Presse that economic sanctions would only further push Belarus into Russia's sphere of influence. Strategic interests do not impede Lithuania to stay one of the most active supporters of Belarusian civil society. Since 2004 Vilnius has become second home for the European Humanities University that Belarusian authorities expelled from Minsk. 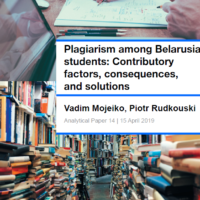 Nearly 1500 Belarusian students study full-time in the arts and social sciences at the university and the overwhelming majority of them are against the Belarusian regime. Besides, the Belarusian Human Rights House has existed there for several years and the Belarusian opposition will likely open the United Belarus House in Vilnius soon. Only 170 km separate Minsk and Vilnius thus making it the closest EU capital to Belarus. The 2 million residents of the Belarusian capital need only three hours and $10 to see how Europeans live, work and relax. Belarus has nearly three times more consumers than Lithuania, that is why local businesses are truly interested in their visits. Many large Lithuanian shopping malls depend on Belarusian customers. Unfortunately, there is a big obstacle for Belarusians – the Schengen visa regime. In November 2007 Lithuania had to increase the visa application from €5 to €60 on the demand of EU institutions and the number of Belarusians tourists significantly dropped. 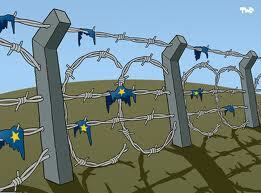 Only recently the cross-border movement has intensified again. In 2011 Lithuania issued approximately 150,000 Schengen visas for Belarusians which is higher by 59% in comparison with the previous year. Lithuania refuses only 0.17% of Belarusian applications and actively supports the idea of reducing the visa fee for Belarusians. The Lithuanian Foreign Minister Audronius Ažubalis declared this March that Lithuania plans to issue no-fee long-term national visas for citizens of Belarus. The imprisonment of Ales’ Bialiatski, a prominent Belarusian human rights activist, reduced Lithuanian officials’ trust in Belarusian authorities. The then Lithuanian Department of Justice provided information about his bank accounts to their Belarusian counterparts within the framework of the official procedures established for the combat against organised crime. Only months later did they understand that Belarusian intelligence services would use the received information for repressing Bialiatski. As a result, the Belarusian court sentenced him to 4.5 years in prison. Consequently, it undermined Lithuania’s image as a country that defends human rights. Another point of tension is competition between Lithuania, Belarus and Russia on the construction of nuclear power plants in the region. Lithuania opposes the plans of Belarusian authorities to build nuclear power plant in Ostrovets situated very close to the Lithuanian capital. At the same time Belarus considers the Lithuanian project for the construction of a power plant in Visaginas as ineffective. Moreover, Belarus does not want to extradite former general Vladimir Uskhopchik who allegedly participated in the Soviet troops’ bloody assault on the Vilnius’ TV tower in 1991. Successful cooperation between Belarus and Lithuania depends on the future of the EU-Belarus dialogue. More than a month ago Head of the EU External Action Catherine Ashton recalled all EU ambassadors from Minsk in a sign of solidarity against the deterioration of the human rights situation in the country. This move will definitely not foster common projects and puts prospects of political dialogue between Minsk and Vilnius in doubt. But despite the diplomatic conflict and the Schengen visa wall Belarusians and Lithuanians manage to maintain healthy economic cooperation and historically close ties.